With the beginnings of summer holidays coming upon us, I've been doing some research on beach bags. 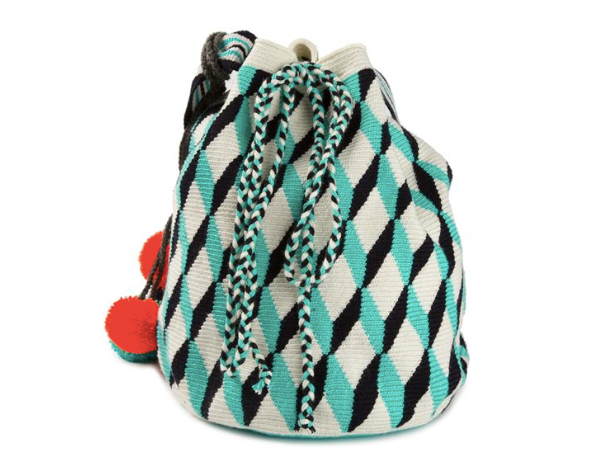 I was recently inspired by a raffia bucket bag but sadly, it was a girl's bag from the kids department and not robust enough for carrying around anything remotely adult sized or heavy. 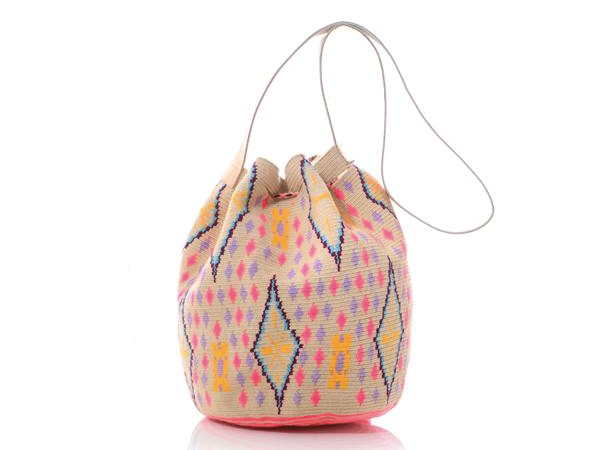 What I loved though were it's bright colours, the casual bucket bag shape and how it just oozed summer. So you can imagine my joy when I discovered Sophie Anderson bags. The beautiful bright, clashing colours, the hand woven crochet weave, the casual bohemian style. 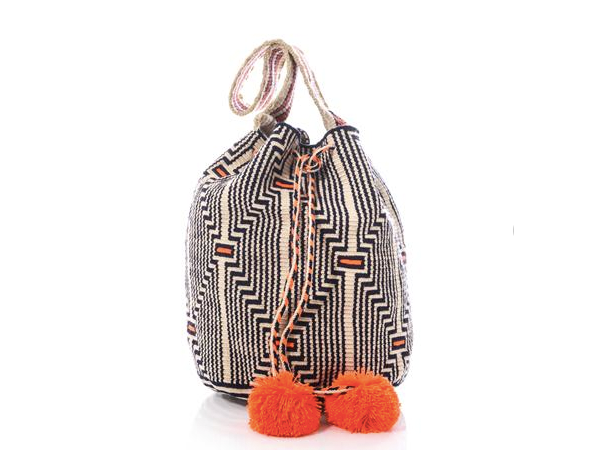 It's a very modern take on a style and craft that has been handed down from generation to generation by indigenous tribeswomen living in the Columbian desert. 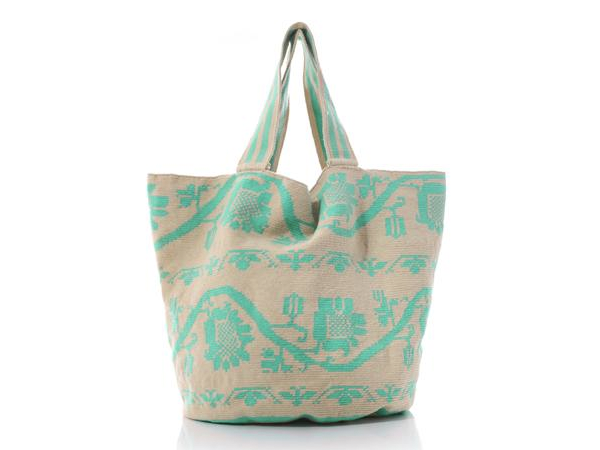 It takes between 2-4 weeks to make just one bag and what I love about this brand is that it works directly with 10 different communities to offer employment to 600 women a year. 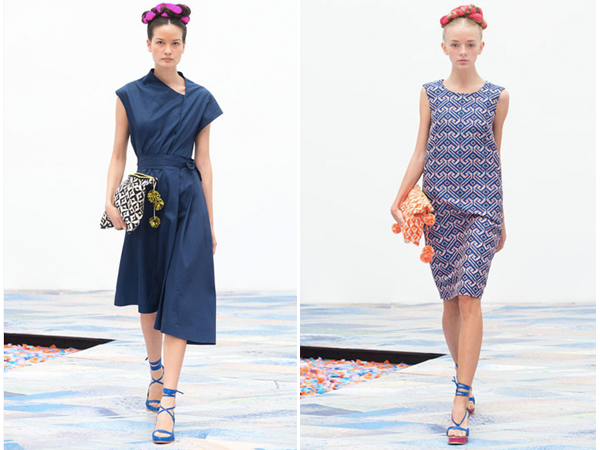 The current collection takes its inspiration from Frida Khalo, Mexican flowers and 19th century geometric tiling... (am a big fan of geometric tiles, lots on my Pinterest board) and I'm loving the fresh and vibrant colours, the use of pompoms for a colourful and whimsical touch, as well as the genius idea of metallic leather straps on some of the range. The geometric designs do take those pieces to a whole new level of modern and I wish I'd discovered Sophie Anderson before those pieces had sold out. I've posted a few images of the current range, but be warned, don't fall too much in love with them as many are no longer available. We wait with baited breath to see the next collection... and I'm eagerly waiting for my order to arrive!